David Lloyd (born 18 March 1947) is an English former cricketer who played county cricket for Lancashire and Test and One Day International cricket for England. He also played semi-professional football for Accrington Stanley. 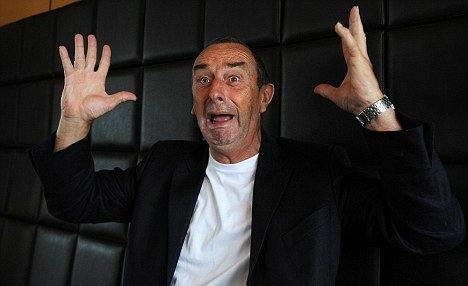 He is known through the cricketing world as "Bumble" because of the ostensible similarity between his facial profile and those of the Bumblies, characters of Michael Bentine's children's television programmes. A left-handed batsman and left-arm spin bowler, he played nine Tests, with a highest score of 214 not out, and eight One Day International matches. In first class cricket he was a successful all-rounder, scoring a career aggregate of more than 19,000 runs and taking 237 wickets. He captained his county from 1973 to 1977. Following his retirement as a player, he became a first class umpire, and subsequently Lancashire and England cricket coach, resigning the latter post following the 1999 Cricket World Cup. He then became a renowned cricket commentator for Test Match Special, and later Sky Sports, with whom he currently broadcasts. He is also an author, journalist and columnist. Lloyd was born in Accrington, Lancashire in March 1947, and was educated at Accrington Secondary Technical School. His son, Graham Lloyd, was born on 1 July 1969, only four years into his father's career. Graham went on to play six ODI matches for England, and enjoyed a successful career for Lancashire, as well as with his father for Cumberland and Accrington. A second son, Ben Lloyd, also played Lancashire League cricket between 1999 and 2000, making seven appearances for Church. Lloyd became a regular one-day player for Lancashire in 1969, playing 16 matches that year and scoring 342 runs at 22.80. Lancashire did not utilise Lloyd's bowling in the one day games that year, though he did take four first-class wickets at 17.50, and continued to improve with the bat, scoring his second century, 102*, and reaching 1,238 runs from 27 matches at 31.74 – the first time he had topped 1,000 runs in a season. Lloyd collected three consecutive winner's medals for the Gillette Cup in 1970, 1971 and 1972 following finals victories over Sussex, Kent and Warwickshire. He scored over 1,000 runs in each of these seasons, and took 33 wickets throughout. 1972 saw 12 of these wickets taken at 28.25, and 1,510 runs at 47.18, including six centuries, making that year Lloyd's most successful season. He struggled in the one day games, however scoring only 290 runs at 16.11, nevertheless he was awarded the captaincy for 1973. The captaincy did nothing to affect his form, scoring 1,405 first-class runs that season at 40.14, including three centuries – one of which was a career best 195. He also took 31 wickets at 28.28. He also played 24 one day matches, scoring 538 runs at 33.63 including a career best 113. Lloyd then faced Pakistan at Headingley on 25 July and Lord's on 8 August, making 48, nine, 23 and 12* as both matches ended in draws. England then met Pakistan at the Kennington Oval on 22 August for the third Test, where Pakistan reached 600/7 declared in the first innings thanks to a knock of 240 from Zaheer Abbas. In reply, Amiss hit 183 and Fletcher scored 122, however Lloyd only managed four in the first innings, and Pakistan could only make 94/4 before the match ended in a draw. Lloyd went on to play both ODI matches, scoring 116* in the first match from 159 balls, though in a losing cause and followed up only by four in the second match. Lloyd has been a lifelong supporter of Accrington Stanley F.C., and played for them during the 1960s. Lloyd has maintained links with the club after his playing career ended, and in May 2009 he voiced his wishes to become involved in the club from the point of view of investment. He stated to the Accrington Observer that "I love football and always have. I was talking to Eric Whalley about it the other day and he said he wanted to sell and I wish I could afford to buy the club off him. I can’t do that but I would like some involvement and perhaps raise the profile of Accrington Stanley. The town needs a football club – and I want to help to make sure they have one." In September 1998, Lloyd received criticism from the England and Wales Cricket Board and the Sri Lanka Cricket Board for calling Sri Lanka's Muttiah Muralitharan a "chucker", as well as for frequent outbursts following poor England performances. He initially announced that he was stepping down from the coaching role during the 1998-99 Ashes series in Australia following the appointment of Graham Gooch as tour manager, however in March 1999 he stated that that year's Cricket World Cup would signal his retirement after talks with the ECB revealed that his contract was not to be renewed. He immediately joined Sky Sports as a commentator. 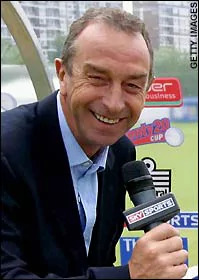 Lloyd has been a regular Sky Sports commentator since 1999. 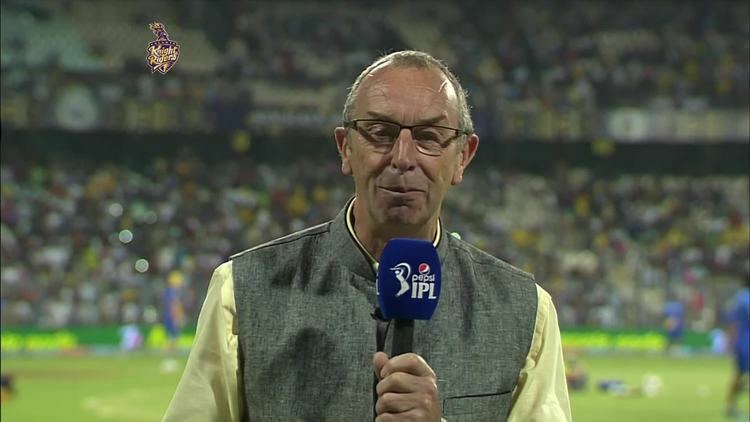 He is a regular on coverage of England's Test and one-day international cricket, but it is as the voice of Twenty20 cricket, since its launch in 2003, that he has become particularly known, with his excitable style and catchphrases such as "Start the Car! ", the title of his second autobiography, although he has admitted he sees the game as "a form of entertainment using cricket equipment" rather than real cricket.